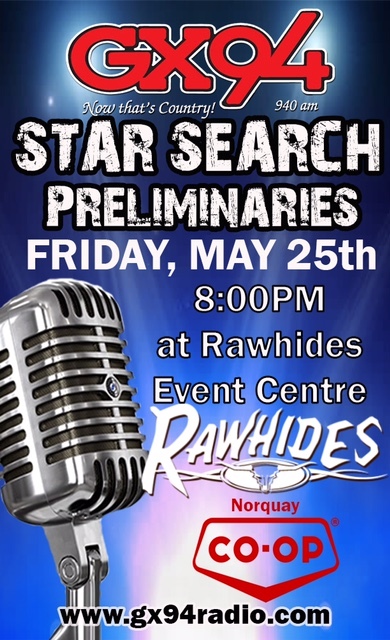 GX94 is on a quest to find the best amateur country talent in Saskatchewan and Manitoba for the 2018 GX94 Star Search Competition. Our contest is open to any amateur solo country act. The Preliminaries will be held at Rawhides Wooden Chandelier Centre on Friday, May 25, 2018.